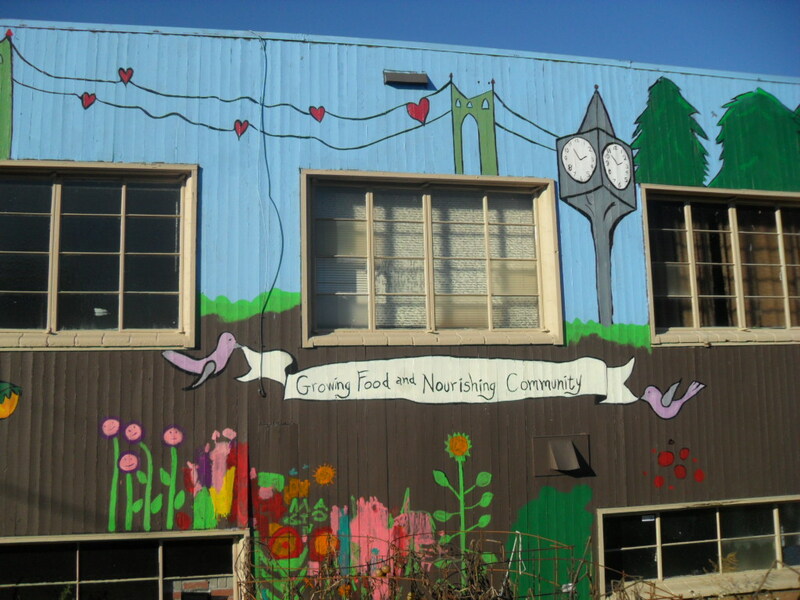 The Hub/ Community Garden mural is almost finished! 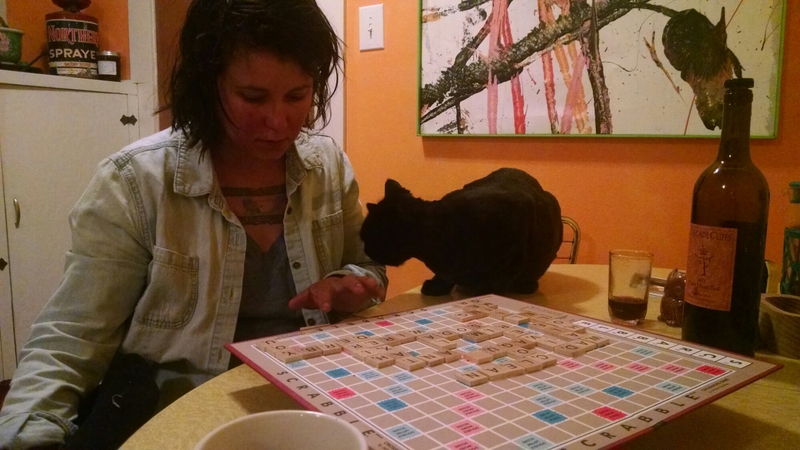 Just waiting for the rainy days to end so that we can finish up this spring…. The Oregonian published an interesting article about how few elementary students receive arts education in Portland. The article debates a claim by the Creative Advocacy Network that 77% of students graduate elementary school without being exposed to art by stating that many kids get art exposure through collage, puppet making, or other side projects at least once before graduating. However, they did find it mostly true that around 77% of elementary school kids will not get to take an art class at school. This is all the more reason to support organizations that advocate for the arts in our communities and to get kids involved. 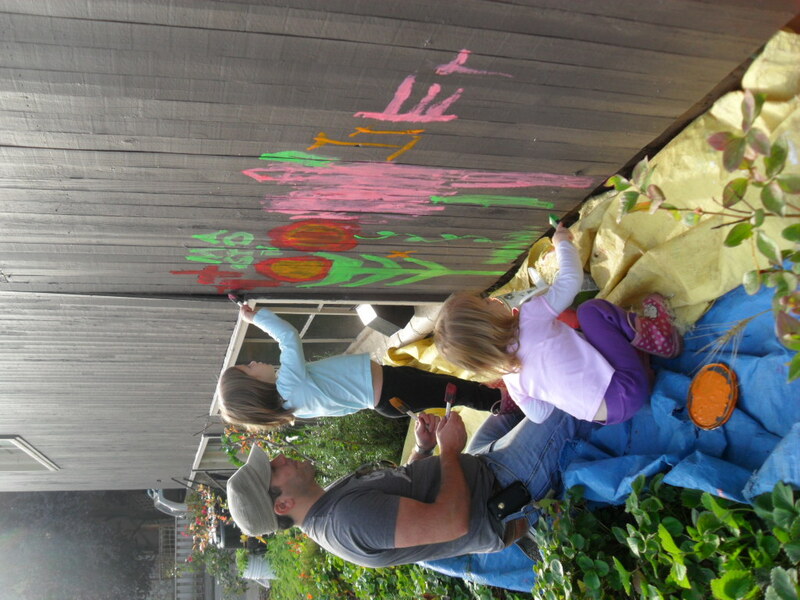 We’ll post the dates of the next time that we’ll be out painting the Hub/ Community Garden mural (weather permitting). If you want to get involved, we welcome you to come on down! Almost finished with the Mural. 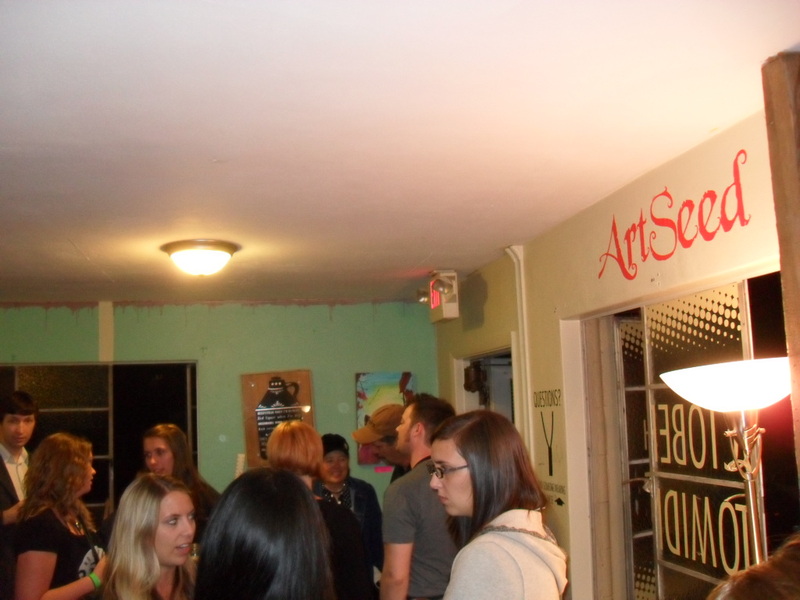 Above picture is the ArtSeed and Jugtown studio. We have been putting in hours during these few sunny and dry days to finished the mural on the side of the Hub Community building. We expect it to be completed by the spring….with hopefully more help from the neighborhood. It has been a blast so far!!!! We were also included in a fundraiser at the Hub Community building called “No Bones for Halftones”. It is a project started by our studio mates aka the Jugtown boys. They were kind to include us in the night and we managed to raise some funds for the mural. Here are a few pics of the progress……….. The summer of 2011 is a summer for murals! The mural on the side of the West Coast Fitness Center is complete, and in October we’ll start painting on the side of the Hub Community Center. 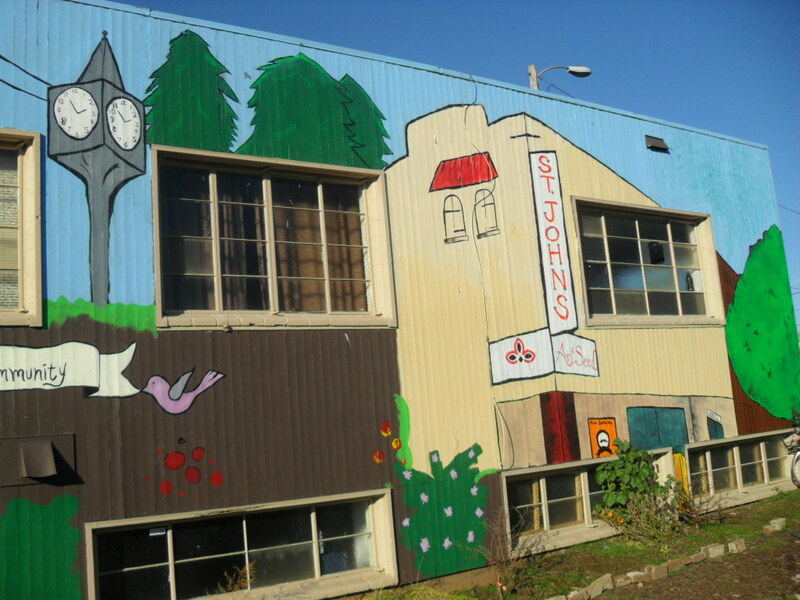 The Hub is a great community space for artists and musicians, and the wall that we’re going to be painting is right next to the St Johns Community Garden. 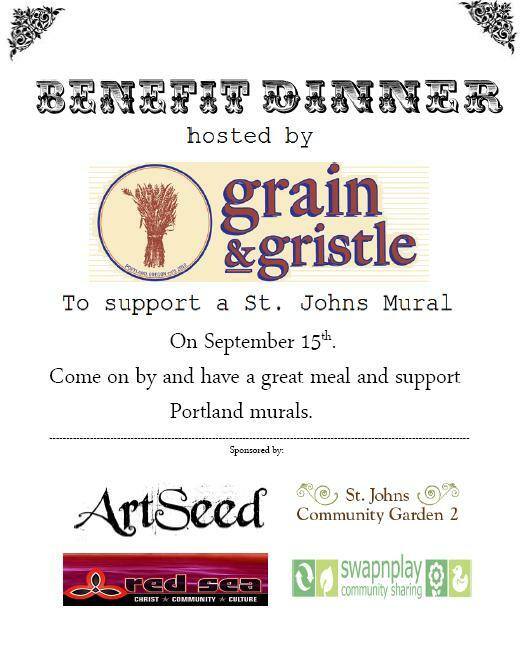 This will be a great collaboration between ArtSeed and the St Johns Swap N Play group. To raise money for supplies, we’re having a benefit dinner at the Grain and Gristle restaurant on September 15th, with a portion of the proceeds going directly towards this mural. Please come out and show your support! We are days away from completing our mural on the side of the West Coast Fitness Building here in St. John’s. 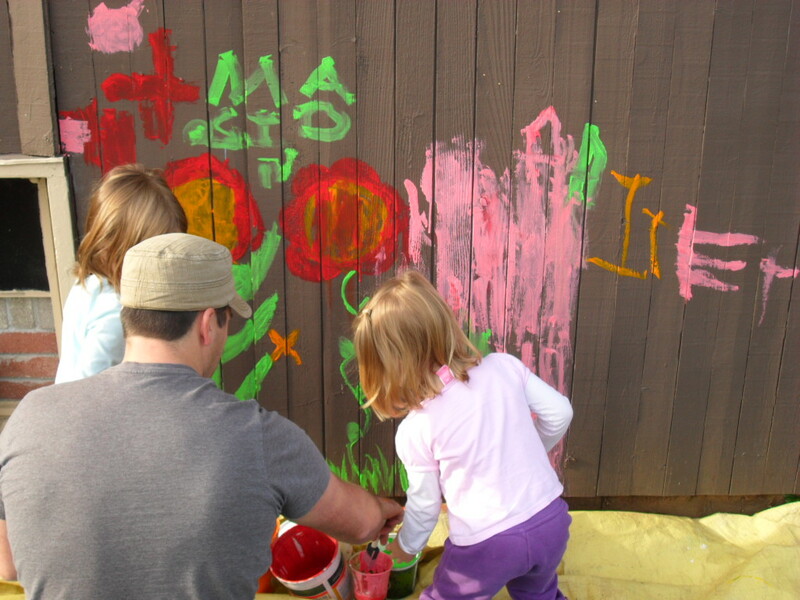 Jenny and I have had a blast working with the neighborhood kids creating the design and painting. The design includes animals demonstrating positive ‘fitness’ messages. We would like to thank the owners of West Coast Fitness, Interstate Rentals, Moonifest, and the St. John’s community. A special thanks to the Roosevelt Kids Crew for the help. 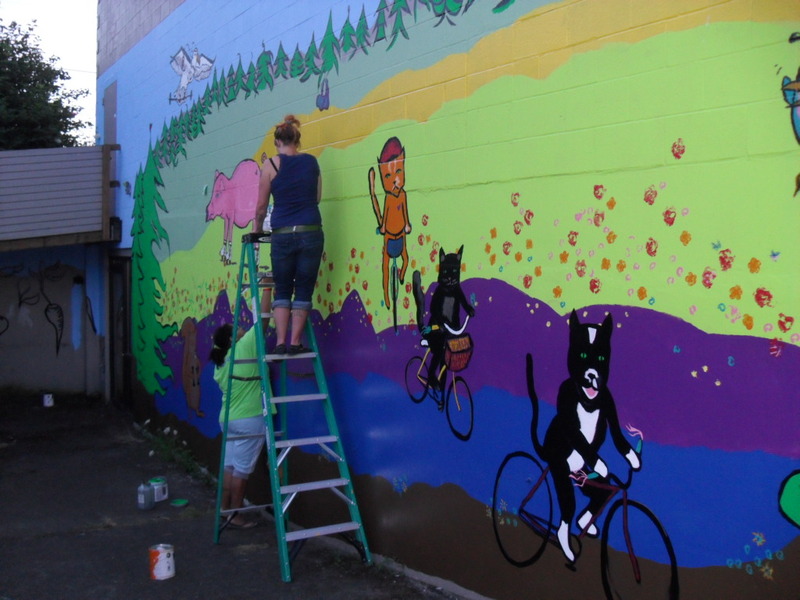 We have had lots of awesome feedback and have our sights on another mural for next spring!!! Until then, everyone enjoy the summer and happy painting. Art Seed is in the works for doing a mural on the West Coast Fitness building here in St. John’s!!! We are currently awaiting our city permit. We will be using the small amount of our Moonifest micro grants that is remaining as well as doing two months of a silent art auction and music benefit. The art auctions will be held at the Proper Eats Restaurant in April and at the James John Cafe in May. On May 7th will be a all night music benefit at Slims to help with the funding of the city permits, supplies, and scaffolding costs. All art is donated by local friends and artists. Art Seed is collaborating with some students of Roosevelt High School to assist with the design and completion. The project is projected for June 2011.